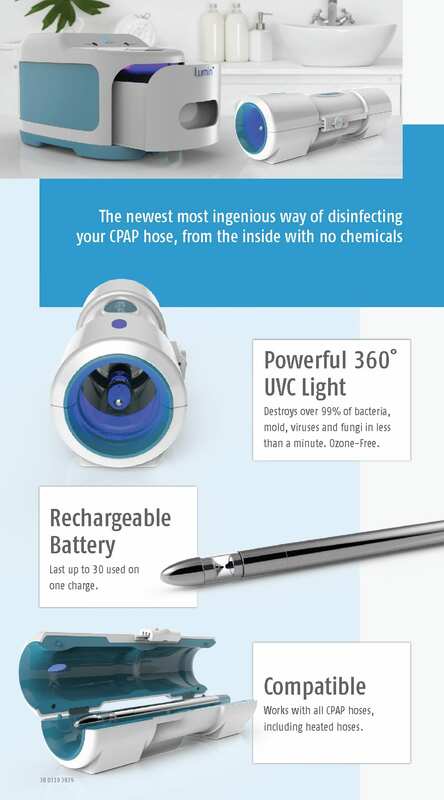 Introducing The Lumin Bullet Cpap Hose Cleaner and sanitizer! 3B medical already released it’s Lumin Cpap Cleaner that uses ultraviolet light to kill bacteria, viruses, mold and fungus. Here is it’s follow up product which is designed to sanitize a cpap hose in seconds. In two weeks of using a CPAP machine, the hose is likely to develop a thin layer of biofilm. The hose becomes a dark, warm, and moist area for breeding bacteria. Using the bullet makes it seamless in cleaning your hose and streamline the whole cleaning process. 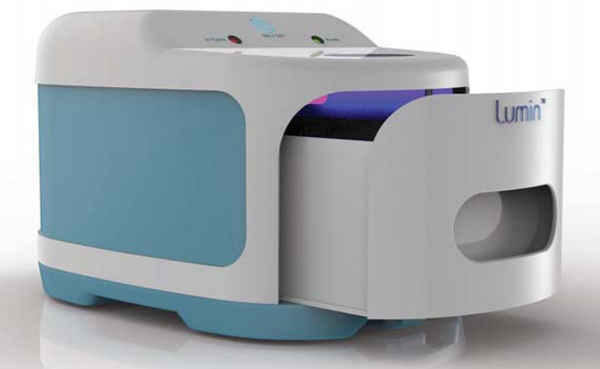 The Lumin bullet utilizes UV Light to sanitize cpap hoses and water chambers. This slim and sleek cleaning device is meant to clean your cpap hose in minutes. Don’t let your CPAP hose become a breeding ground for harmful bacteria. What devices is it compatible with? 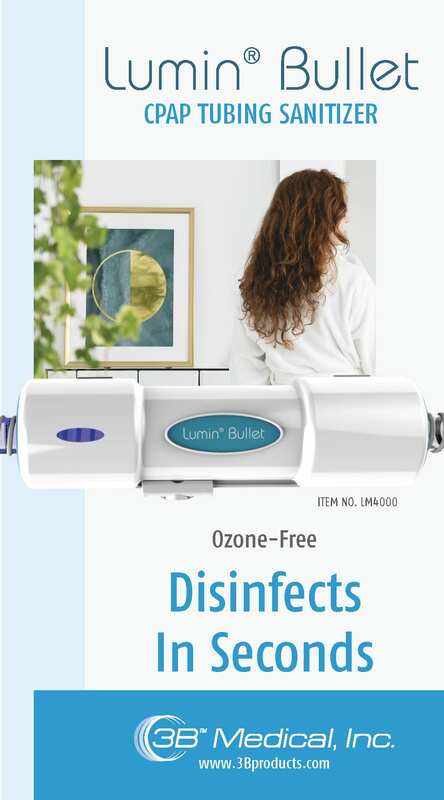 Any CPAP That has hosing can use the Lumin Bullet including RESMED, Phillips, Fisher & Paykel, Motif Dream, Airsense, DreamStation, AirCurve, S9, S8 and more. 3. How Long Does It Take To Receive the product after purchase? We ship everything 2 Day priority mail and always FREE with every purchase. When the Lumin CPAP cleaner hit the market, it impressed many of the regular CPAP users out there who are tired of dealing with a lengthy, complicated cleaning process. The new Lumin Bullet takes the technology incorporated into the Lumin cleaner and makes it even faster to use and easier to take with you. Using Ultraviolet light, the Lumin bullet eliminates the filmy build up that can grow inside CPAP tubing. This keeps the air you breathe clean and free of any germs or bacteria. Since just two weeks of regular use can cause this slimy film to build up along the inside of the tube, using this device regularly helps the CPAP machine give you optimal breathing relief night after night. How Does the Lumin Bullet Work? 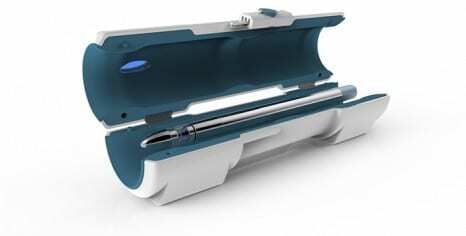 Shaped like a bullet and powered by magnetic energy, the Lumin bullet works its way along the tubing to eliminate any buildup and make the process of cleaning your CPAP much easier. While this device doesn’t replace a full CPAP cleaner or sanitizer, it can act as a good supplement to your regular cleaning process. As the metal device travels through the hose, it emits an LED light that zaps bacteria and eliminates buildup, even if it is trapped deep in the folds of the plastic. This keeps the hose pristine even as you keep using it to relieve your sleep apnea symptoms. 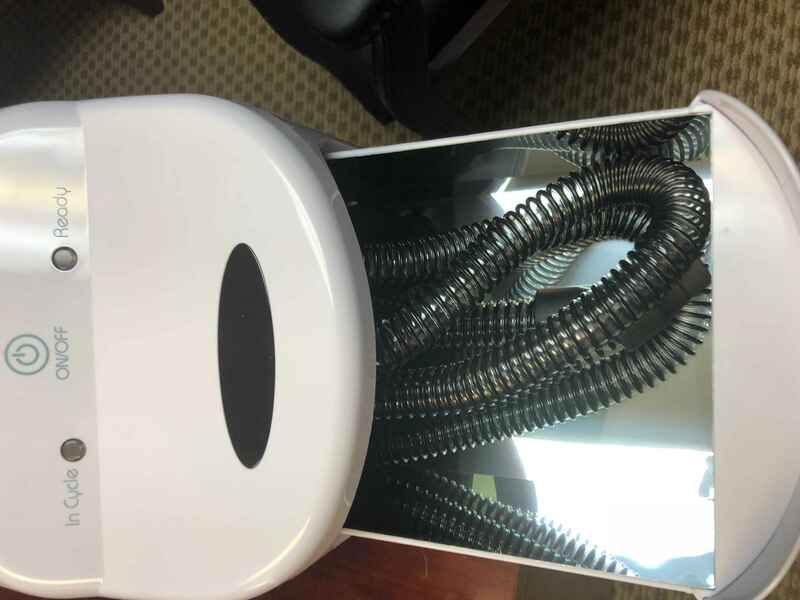 Why Does Your CPAP Hose Need Cleaning? As you use the CPAP machine to get relief, pressurized humid air travels through the hose and into the mask portion, where it helps to support your airway as you sleep. Small particles of moisture can end up trapped in the folds of the hose, leading a film to grow. If left in place, this moist film can be the perfect breeding ground for mold and mildew. If you don’t want to spend money on a CPAP cleaner that only works on the hose, a good alternative is to get a CPAP cleaner that works on each part. For example, the VirtuCLEAN CPAP cleaner and sanitizer uses ozone to eliminate film and buildup from the hose, mask and other key parts of the CPAP unit. This eliminates the need for a Lumin Bullet cleaner, as all the film is eliminated from the hose when you perform your regular cleaning with VirtuCLEAN.